/ Modified jun 30, 2017 8:39 a.m.
Rainwater pours into a wash in Tucson, Arizona. Tucson water rates will go up July 3. This is the second part of a two-year rate increase for Tucson water customers, said Fernando Molina, the department spokesman. The increases are meant to bring in 7 percent more revenue, but do not translate to a 7 percent rate increase. “As you begin to use more water, then that monthly increase becomes a little bit higher," Molina said. The increased revenue is meant to help keep the water system operating well, he said. “Seven percent seemed to be the number that allowed us to continue to meet all the regulatory requirements, to continue to provide safe drinking water, maintain the distribution system,” he said. The average residential customer uses about 8 ccfs, or 800 cubic feet of water a month. For that average customer, the increase will be $2.84 a month. Molina said the department must be used to keep up its infrastructure. Some of the department's budget goes toward preventing leaks in water reservoirs to prevent loss. "We have to do exactly what we ask our customers to do, find your leaks and fix them." 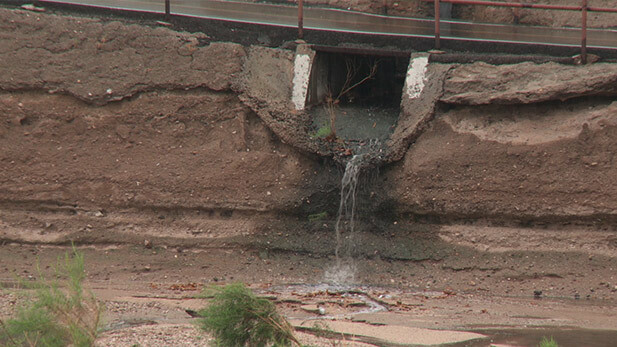 The Tucson Water Department also monitors and replaces failing pipes in the 4,300-mile water distribution system. More than a third of those pipes are more than 50 years old, Molina said. The original version of this article included an incorrect start date for the rate increase. It begins July 3.